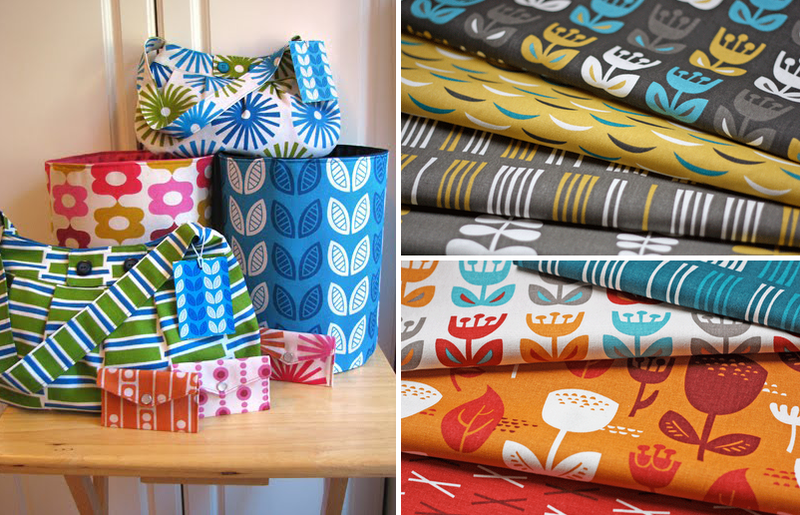 I've been following graphic and textile designer Jessica Jones' blog, How About Orange, for almost two years now so I'm thrilled that she's popped in for a chat about her work. 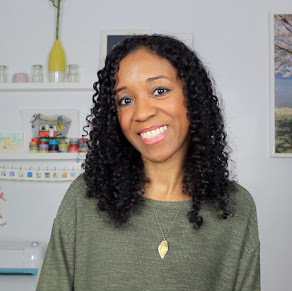 Her site is such a great resource for design, unexpected craft tutorials, great downloads and freebies and just all around cheery things. Not to mention the fact that she's a total type nerd. I haven't the slightest clue about which fonts are cool or not (poor Comic Sans), but posts like this and this, make me want to stock up. Read on for Jessica's thoughts on running an online shop, keeping her spirit open to new ideas and some Chicago travel tips. Okay, so I just have to start by asking: why so infatuated with the color orange? Your home seems to be filled with it and I love how your family and friends know that gifting you something with that color will delight you. Orange... it's happy and energetic. I like happy things. I've also heard it associated with intelligence, so I'm trying to boost my IQ by surrounding myself with orange. So far it's not working, unfortunately. Now tell us what a typical work week is like for you. How do you manage your time to create and share so many great projects? I work as a graphic designer developing brand identities and marketing collateral so my weekdays vary a bit depending on how many design jobs I'm working on at once. I might devote between 15 minutes and a couple hours each morning to How About Orange, fielding emails from readers, looking at submissions, preparing posts or hunting around the internet. If I have a free afternoon or time on the weekend, I'll work up a DIY tutorial. You used to have an Etsy shop and decided to close it down last year because you weren't enjoying the tedious parts of running an online business. Do you still feel the same way? Absolutely. It was a fun venture, but its time was up. I'd viewed the shop as a hobby, like stamp collecting. It paid about as well, too. I was in it for the fun, and once the thrill wore off, it made more sense to spend all that time on other projects with better payoffs. I discovered I don't have much interest in order fulfillment. I'd rather sell my designs to other companies and leave the rest to them, freeing me up to make more designs. What should people consider before opening up shop? What were the best and challenging parts of having your own business? I think to be successful with an online shop, you need to give it serious focus and constantly think about growing your business if you intend to make money from it. Alternatively, if you'd like to run your shop on pure joy, that's excellent, too. The bottom line is that it needs to feel rewarding somehow, so think about what kind of reward you're looking for and plan accordingly. And don't worry too much; when it stops being satisfying, you can always quit. 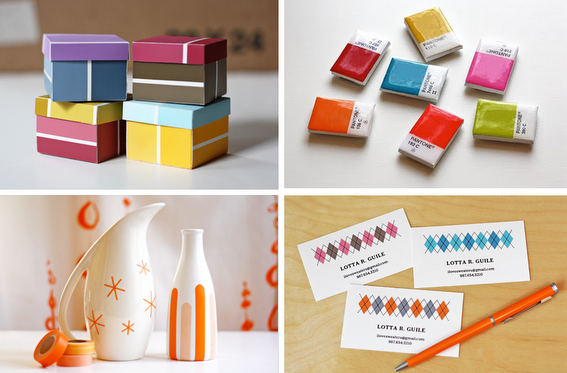 For me, the best parts were making things to sell (until I got sick of making things to sell), designing cute business cards, connecting with happy customers and seeing items fly off my shelf. The annoying parts were boxing up orders, filling out customs forms, standing in line at the post office, filing sales tax returns, fielding customer questions and wondering where to put these lovely products that were now cluttering up my nice tidy office. You just released the Outside Oslo fabric collection in April. Is there anything new in the works for the coming months? I'm planning to work on another fabric collection when I can fit it in between other graphic design projects! Oh I can't wait to see! In the meantime, where can people find your fabric designs to use for their own creations? To purchase them online from the companies who manufactured them, head to The Needle Shop or JCaroline Home. 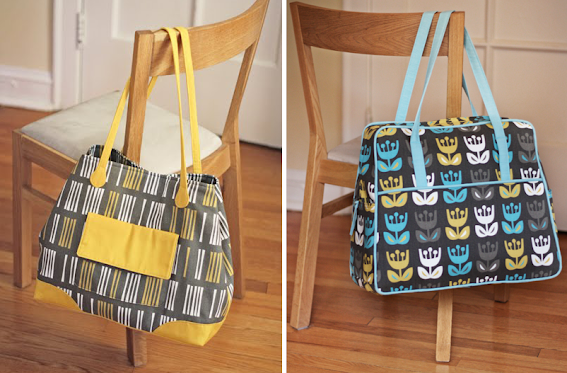 You can also buy them at independent fabric shops around the US and in a few boutiques abroad. Now would you ever venture into other products? If so, what materials would you love to work with next? It would be fun to design wallpaper, dishes, lamps or other home items. Maybe someday. I can definitely see your designs on all sorts of home decor and perhaps your mom could lend a hand in making some prototypes. She's such a talent behind the sewing machine! I love all the things she's made for you especially that weekend bag. Did you get your creative genes from her? How did she nurture that creativity while you were growing up? There are some creative brains on my dad's side of the family, too, so I suspect it's a combination. My mom's favorite subject in school was math, so it's certainly possible I was adopted and they haven't told me yet. Mom fostered my childhood creativity by praising every single thing I ever made. To see some fine examples of my early work, look here and here. Aww, you put your whole heart into that tiny book. Now that you're a bit more experienced in the creative fields, what do you do to keep that spirit open to new ideas and inspiration? I think "open to new ideas" is my default setting, and I just need to make sure I'm supplying enough input to give my brain something to chew on. It's like a blender that's turned on, but nothing happens unless you dump some food in there to be churned around and processed. So I enjoy reading books, looking at people's amazing work online and keeping my eyes open when I'm out and about. I recently went to Stockholm to soak up the atmosphere and admire Scandinavian design. Good stuff for the blender. Traveling is such a great way to jump-start ideas and see the world in new ways. So tell us, what are your favorite off-the-radar places to eat, shop and play around your own hometown? I grew up on a dairy farm in Minnesota and my hometown has a population of 2,000. It's way, way off the radar, so let's go with Chicago instead, where I live now. Have brunch at M Henry or Crêpes à Latte. Buy some cool fabric from modern designers at The Needle Shop, get things for your home at The Sweden Shop, and find awesome jewelry, clothes and accessories at The Mexican Shop. (Yes, I only frequent stores with the word "shop" in their names.) Then have dinner at Wholy Frijoles (chipotle mashed potatoes!) or Geja's Cafe for the best fondue meal ever. How About Orange is one of my favorite sites. I have stolen tons of ideas from her. She has great humor, too. Great interview! Very interesting, thanks for the share! Someday, when I stop popping out babies and working full time, I will be able to use these creative people for ideas and put them to use here in my home. Someday. In the meantime, I will live through you! Hi. I'm back.